It’s that time of the year again, the time when you REALLY REALLY need to get your accounts done. Yes, the 2017/18 tax year ended on April 5th, 2018, and to make sure that you are on the ball you should definitely be working on getting your end of year accounts done now so that you know early on what your tax liabilities are. Furthermore, you know that in the UK tax for Landlords is changing, slowly over the next 4 years interest rate relief is being phased out. Which means, our tax burdens are changing. Yet, one thing that confuses me greatly is that Landlords and Investors still refuse to hire an accountant to get their tax calculated for them. 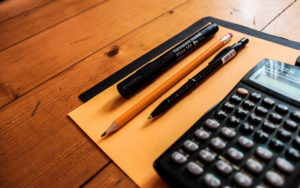 In my Facebook Group, a large proportion of Members haven’t even thought about employing an accountant and just prefer to ask other non-professionals how to calculate their tax burden AND even more shockingly, file their tax returns themselves. Here’s the thing… in doing that, you not only waste loads of your own time going round in circles, asking more and more people questions, and getting more and more ridiculous answers which you then have to research to find out if they are actually correct. Your tax burden is very much individual to you, so anyone who doesn’t know your situation isn’t going to have a clue what your tax should be, purely by answering one question. Finally, what happens if you miss something… for example some tax relief you are entitled to, or you double count and end up with a ridiculously high tax bill?! Eurgh… there is so much that can go wrong, which is why accountants are professionally trained to have your back and sort this out! 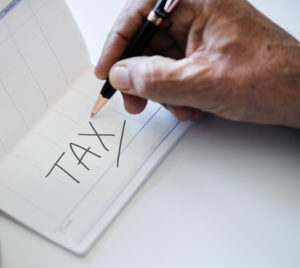 You paying an accountant automatically means that the accountant is on your side – so they are going to be working to get your tax liabilities down to £0 or even get you a rebate – if your accountant isn’t doing this for you then go find another one! Your accountant will save you as much in tax as it costs to pay their fee… so it’s a complete no-brainer!! If this hasn’t convinced you that it’s time to get an accountant on the scene… then be my guest go and throw some of your ‘spare’ time at getting it somewhere near right. However, if you are ready to get the best out of your money hire an awesome accountant and get it done! You can thank me for this advice later… or simply post a comment below sets out how you intend on spending your free time, enjoy it, you’ve earnt it! P.S Have you signed up for my FREE Insiders Circle yet? Where just by being a Subscriber you will get tons of free goodies within week 1 of signing up (think how to guides/flow charts/support to build that awesome property portfolio you’ve always dreamed about). Type in your email address in the subscription bar above and I will send you your first goody in the next 5 mins!